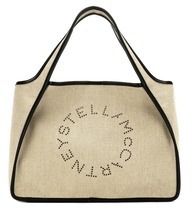 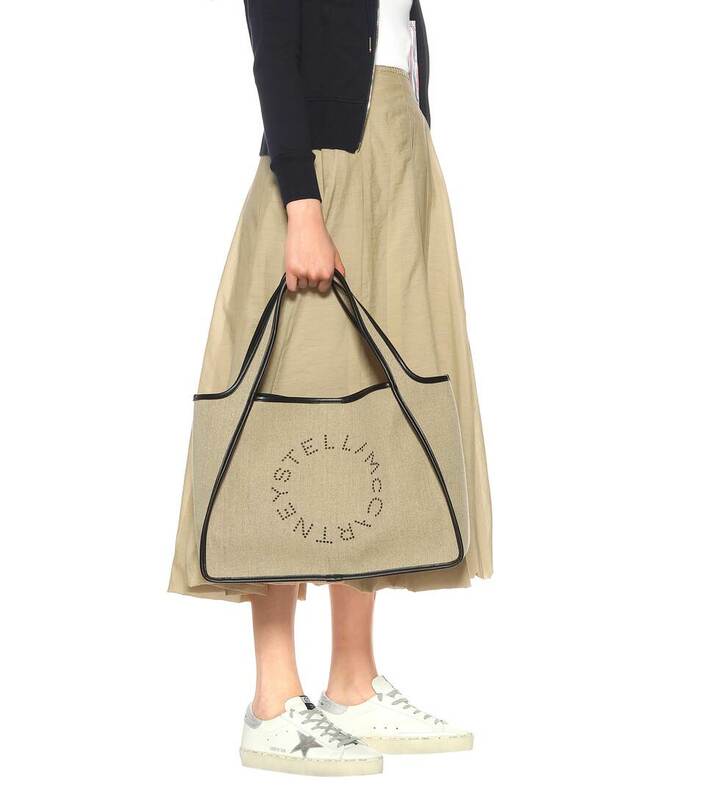 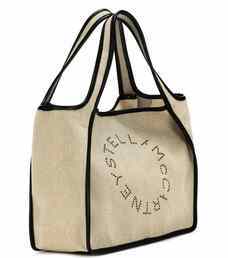 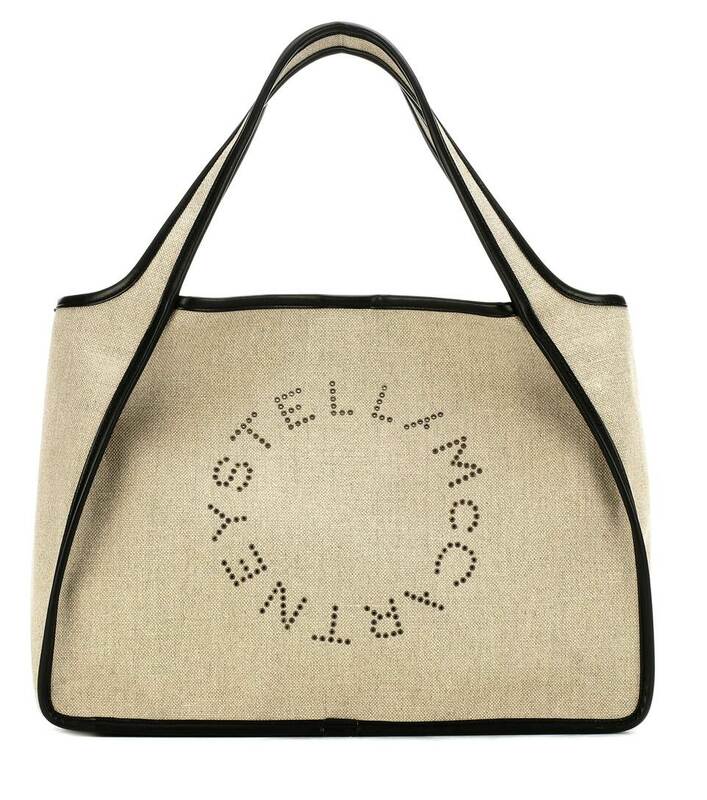 Stella McCartney's new tote design is part of the Stella Logo range and comes with instantly recognizable perforated eyelet branding. Crafted in Italy from woven linen with faux leather trims for a summer-ready look, this roomy design is the ultimate style for everyday use. 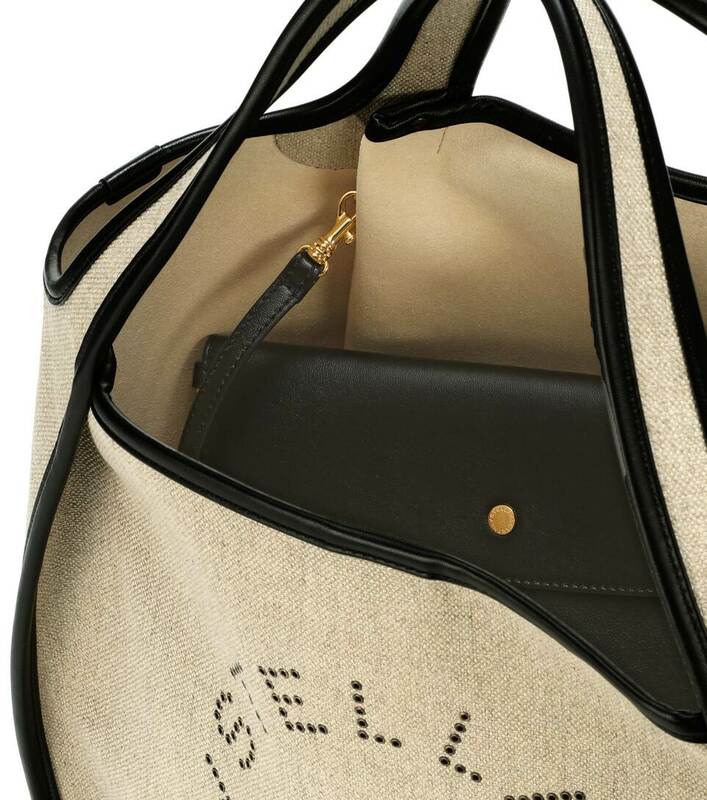 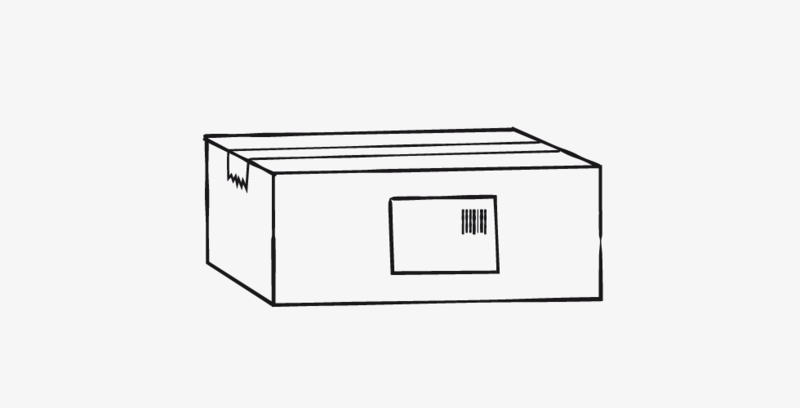 A detachable pouch ensures valuables are kept safe and can double as an on-the-go clutch.